Need a basic hummus recipe with 5 ingredients or less that you can whip up for that last second backyard barbecue invitation? Here it is! Simple and delicious, with no oil needed. It’s just so darn good. I love the simplicity of this hummus. 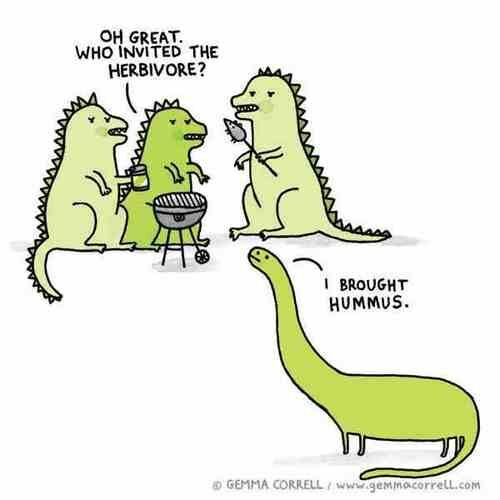 And since we’re on the subject, I see nothing wrong with being “that vegan” that brings hummus to the party. Someone’s gotta do it. Besides, everyone loves hummus. I don’t care who you are. If you’re feeling creative and want to mix things up, I have 5 easy variations, using ingredients you probably have on hand. I like to switch up my hummus and play with different flavors, feel free to experiment and come up with your own! I also loved this white bean hummus just plain and simple with a variety of veggies, pita bread, and crackers. What flavors and variations can you come up with? Grab your food processor and get blendin’! Directions: Blend all ingredients in your food processor adding a little bit of water (a tablespoon at a time) to thin out the hummus as desired. Store in the fridge. It will thicken as it cools. Seriously I think just about everyone loves hummus! The variations look really good too! I have grown to like white bean hummus even more than garbanzo hummus. Thanks so much for your recipe. It is the one I always use now! Hi! Yes!! You’ve got it!